Word of mouth is one of the most common ways that new clients come to Clearbrook Brewing. We would like to thank those who promote our product and welcome the new comers. 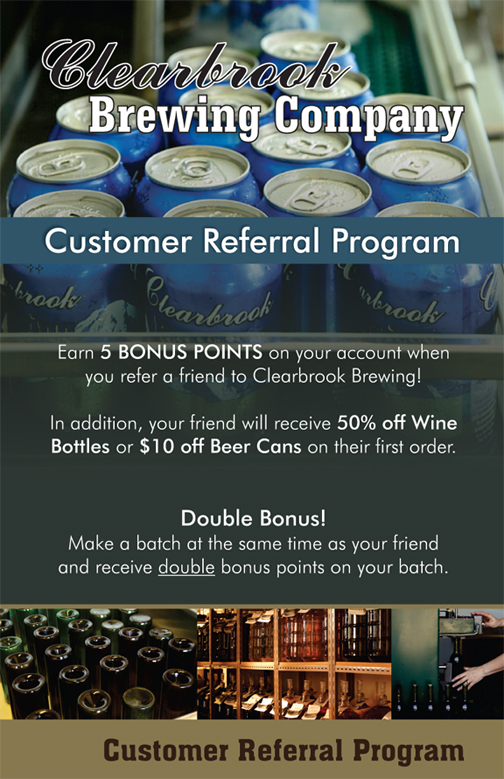 For each wine referral we will place five bonus points on the account of the referrer and give a ten dollar discount to the new customer to say welcome to Clearbrook Brewing. Also, refer a friend to make a batch of beer and receive $10.00 off your next beer purchase! Make 6 wines, Pay for 5!